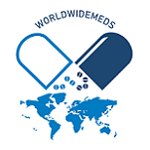 World Wide Meds is an ecosystem that empowers people to manage their healthcare wherever they are in the world, 24/7. Built on blockchain technology, our ecosystem helps to make interactions between all participants transparent and simple. Our platform facilitates mutual financial settlements, open access to medical records and to specialist’s certification status. Worldwide Meds is a digital healthcare platform, whose embedded telehealth, telemedicine and AI solutions are designed to deliver world-class medical consultations and solutions to patients and Users anywhere, at any time. The Worldwide Meds ecosystem will use blockchain technology and smart contracts to integrate innovative and latest technologies with the infrastructure of the traditional healthcare system, such as offline medical facilities and insurance companies. Worldwide Meds will facilitate high quality, affordable, end to end healthcare management to people all over the world. Meds is utilizing it to address specific issues to make healthcare better for users. “Worldwide Meds is going to bring exciting new technologies including AI, telemedicine, and blockchain to the fields of healthcare and wellness management. This will empower healthcare systems to deliver superior cost efficiency, affordability, and quality of service to clients. We believe these advances will increase the quality and duration of life around the world”. Worldwide Meds is creating a global blockchain ecosystem that will make affordable healthcare accessible to everyone. This ecosystem will enable the integration of existing infrastructure, including hospitals and healthcare clinics while connecting care providers and clients worldwide. In today’s world, medical charges differ significantly across geographical regions, which often renders high-quality healthcare inaccessible. Worldwide Meds will eliminate these differences. Our healthcare decision support system and AI-powered solutions will enable lowcost health care providers to improve the quality of service to patients. Drastic cost reductions will be made possible by replacing certain doctor or specialist's responsibilities (e.g. admin) with AI services. With the ever-growing development in Technology. We believe that autonomous AI services will advance to hold a 45% share of digital health and wellness services in the near future. This is why the Worldwide Meds Smart token will facilitate 24/7, healthcare-on-demand services, thereby solving some critical problems that healthcare systems around the world face. Worldwide Meds will utilize Artificial Intelligence solutions to better connect and empower both care providers and patients worldwide. Our aim is to increase the quality and duration of life around the world. The global market cap for the health care industry is estimated to reach around $4,5 trillion by 2025 (according to Grand View Research Inc), more than $2 trillion of which could be covered by internet services. Worldwide Meds has a goal to reach at least a 3% share of the global market for telemedicine and telehealth services. Worldwide Meds will combine existing healthcare infrastructures in various countries including hospitals, medical centers, clinics, wellness centers, insurance companies, fitness apps, and wearable devices to drive demand and value for the Worldwide Meds token. The Worldwide Meds ecosystem will support a whole new economy of healthcare-related goods and services, built upon a decentralized marketplace and provided by traditional care providers, insurance companies and autonomous AI services. Worldwide Meds is an Ethereum based virtual on-demand telemedicine platform, allowing healthcare practitioners to provide second opinion diagnosis and lead consumer-focused care outside of the hospital and clinic setting.